A Full Range of Helicopter Services for Miami, Florida. Reliable helicopter support for executive travel or industry-specific projects in South Florida. FairLifts offers helicopter support for an array of business and industrial pursuits in Miami, Florida. Regardless of the type of service you need, either executive as in corporate transport to hotels from airports or point to point transport between meetings or work sites. Or for industry-specific applications such as enlisting helicopters for transmission line installations, site surveys for energy resource providers who want to establish new oil or gas infrastructure or for heavy lifting support for HVAC installation and/or removal, there's no better resource in South Florida than FairLifts. As a functional support alternative, helicopters are uniquely designed to benefit industrial applications. They are fast, powerful, versatile, and can easily achieve access to any destination. Fairlifts makes use of their expertise in the helicopter services sector to effectively match pilots and aircraft with project objectives to ensure the complete satisfaction of the task or project requirements. FairLifts strives to deliver commercial and executive helicopter support that exceeds the expectations of Miami's business and industry leaders. Take advantage of a streamlined reservations process and same day quoting to satisfy your project's objectives. Recently, a global research analysis company ranked Miami as the 5th most congested urban area in the US. So what is a business to do to avoid that and save money? Charter a helicopter of course! Magic City is used to seeing helicopters, from seeing them fly over beaches on patrol to hearing them while in the city doing tours, and we can never forget how imperative the use of helicopters was during Hurricane Irma. But how else can helicopter lift services help Miami businesses and individuals? When deciding which service you need, you can take a look at some of the larger projects helicopters have helped with and evaluate if your project will need the use of a helicopter. Are you in need of shipping large freight items? Did you know that MIA is number one in the nation for international freight? We can schedule freight services to deliver to many locations throughout Miami. We can reserve helicopters to help Florida Power and Light with linemen assistance, pipeline patrols as well as any heavy pipeline or construction equipment transport as well. Dolphins fans can also rejoice as we can also book a charter flight to provide aerial photography and videography for games as well as aerial surveys of construction sites. No matter your need in Miami, we can save you time, money, and liability by scheduling you helicopter services! See why FairLifts is the leader in helicopter services in Miami. FAIRLIFTS. VERSATILITY IS OUR MIDDLE NAME. The professional helicopter lift facilitators at FairLifts have an expansive repertoire with respect to helicopters and their ability to solve problems and make life easier. There is really not much they cannot do. We’ve taken this opportunity to create a catalog of services to provide a little insight into some of the most popular air crane service and external load operations we organize for our clientele. Heavy lift helicopters are ideal in the precision placement of items, in the movement of heavy or outsized equipment and in the transport of materials for construction and development. Often heavy lift operations require the use of specialty helicopters called air cranes as a means of delivering supplies to downtown Miami's skyscrapers and high rise buildings, in remote locations and in the installation of towers. At times traditional or ground-based cranes are lacking in sufficient boom to achieve access to some of the city's tallest buildings and structures. Helicopters are the best resource to adequately construct communications towers or lift heavy objects. The helicopter application most often requested is in the placement of HVAC units and adapter curves to the tops of highrise buildings. Helicopter cranes have proven to be more effective than ground cranes in remote locations or swampy terrain and areas underserved by infrastructure or lacking in passable roadways... Such as the Everglades. Logistical charters provide a fast, safe and reliable means of transport for key personnel, work crews, and senior executives needing travel accommodation to work sites, for meetings or between their hotel, the airport and various venues located in and around Miami and South Beach. Services include but are not limited to individual or group point to point conveyance, hotel transfers, crew changeovers and shift deployments, transfers to offshore oil rigs and platforms or isolated work sites. Travel can be arranged as ad hoc or routinely scheduled, FairLifts has access to local operators who have helicopters on standby to attend to your logistical needs on demand. For natural resource providers, pipeline surveys and inspections are necessary for the swift movement of energy resource products to markets located throughout the United States and throughout Florida. Routine surveys are conducted per local and federal regulations to look for anomalies in pipeline installations. In areas where complex pipeline systems are particularly concentrated, it's integral surveys yield accurate and timely results. In conjunction with helicopter support, airborne LiDAR and GIS mapping technologies can be employed to map areas to check for inconsistencies in installations, perform site surveys for new oil and gas infrastructure to be placed and to detect chemical signatures that indicate loss of product. Helicopters are utilized often in the installation of transmission lines for multitudes of reasons. 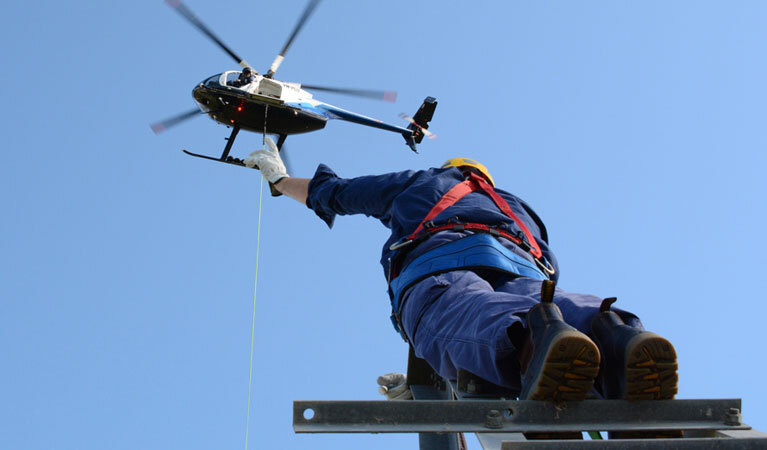 Utility and electrical companies, as well as contractors, say that aerial installation of utilities is preferable because helicopters can reach locations that may be remote or underserved, are difficult to traverse or may be environmentally challenging. The installation of poles, stringing of wires, hanging of insulators and accouterments, and ROW and site inspections are simplified and can be completed in a fraction of the time. Helicopters deliver a unique advantage in acquiring film or photos that inspire purchases of private and commercial properties and make Miami real estate listings stand out. The viewpoint achieved is expansive and therefore fully demonstrates to buyers, investors, and partners the size and scale of properties. Helicopters make light work of mapping and exploration endeavors for mining and mineral detection and can be enlisted to provide stunning and captivating photos and videos of milestone occasions or for special events like weddings, landmark corporate occasions and local business openings. 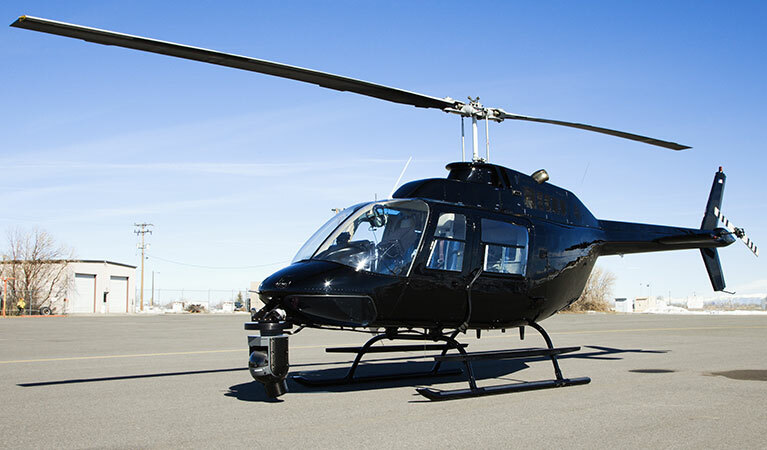 Get cost competitive same-day quotes for commercial helicopter services! The aforementioned services are a small picture of the expansive list of helicopter lift solutions we offer for our clientele. With heavy lift capable helicopters, experienced pilots and expert ground crews, our operators have every angle covered with respect to successfully managing your helicopter solutions requisite. It is simple; all you need to do is call to get the ball rolling. We can deliver accurate price quotes, respond to questions regarding service specifics, and reserve your helicopter solution, plus more when you contact our agents.